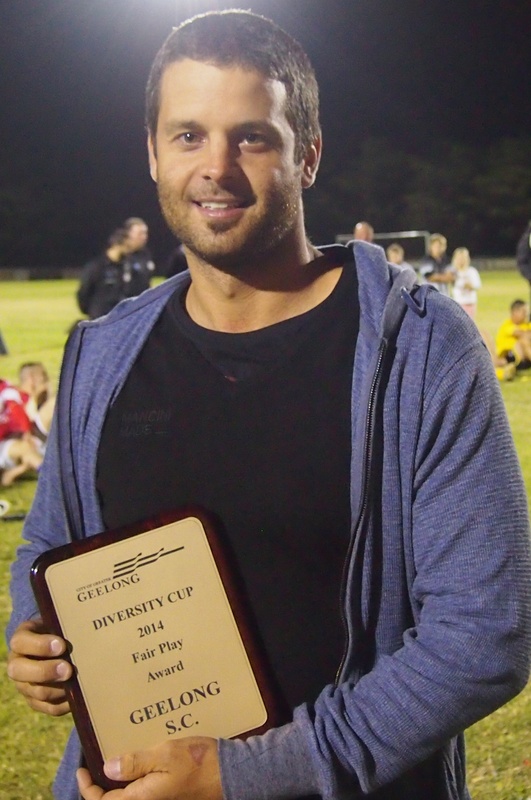 North Geelong won the Geelong Diversity Cup on penalty kicks after a one-all draw with Corio at Elcho Park on Friday night. 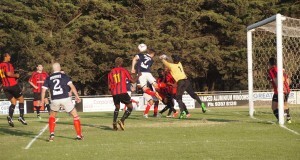 In the match for third place, Geelong Rangers surprised Geelong with a two–nil victory. North played with ten men for all but 40 minutes of the 120 after Michael Boyar was sent off by referee Oleg Grygorian for his second bookable offence. Up to that point the match had been very even and open with some tough challenges by both sides and some very close calls at both ends. Boyar and Michael Anderson both had touches in the Corio goalmouth before keeper Alex Kitanovski grasped the ball right on his goal-line, with assistant referee Steven Kolar perfectly positioned to make the decision. 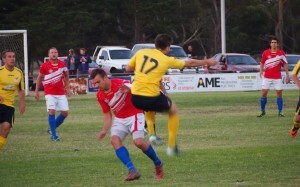 Vedran Stojanovic had a header which narrowly cleared the cross-bar and shot over from another through ball. Ten minutes into the second half the big striker made amends with a bullet-like strike into the top corner to give Corio the lead, which they held till the 75th minute. The referee spotted an infringement in the box and Matt Townley absolutely buried the penalty kick. The rest of normal and extra time produced lots of incident and many near things but no more goals so the destination of the trophy had to be settled in a penalty shoot-out. North went first and Townley repeated his pile driver from the spot. Steve Luczo hit the top of the cross-bar with his kick, and Tony Saric scored for North. Stojanovic scored clinically, but when North’s Reha Kurul also put his penalty away and Adrian Cervinski missed for Corio, James Duvcevski stepped up to apply the coup de grace. In the match for third place Mathew Sesay hit the post in the 27th minute as Geelong threatened to run over Rangers, but the rebound was quickly transferred to the other end where Panagiotis Vasileiou gave Rangers the lead. In the second half, former Geelong midfielder Matias Gorisito settled matters by scoring against his old club. Michael Nikolovski with the Fair Play trophy won by his club, Geelong. There was some consolation for Geelong which won the fair play trophy. 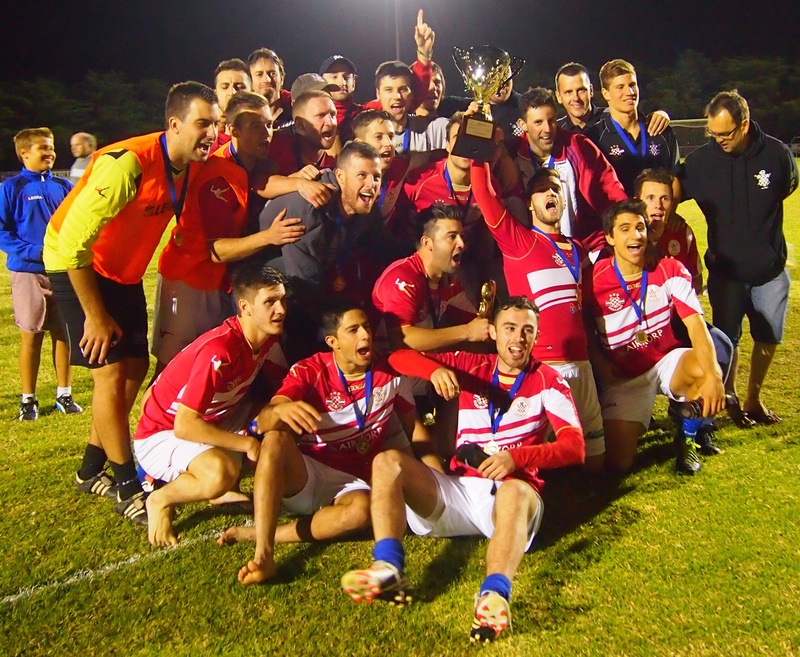 Michael Anderson, skipper of North Geelong, was top scorer and best player, leading his troops in the celebration which concluded the well-attended tournament. Ben Houston of Lara won the Peter Stamatovski trophy. 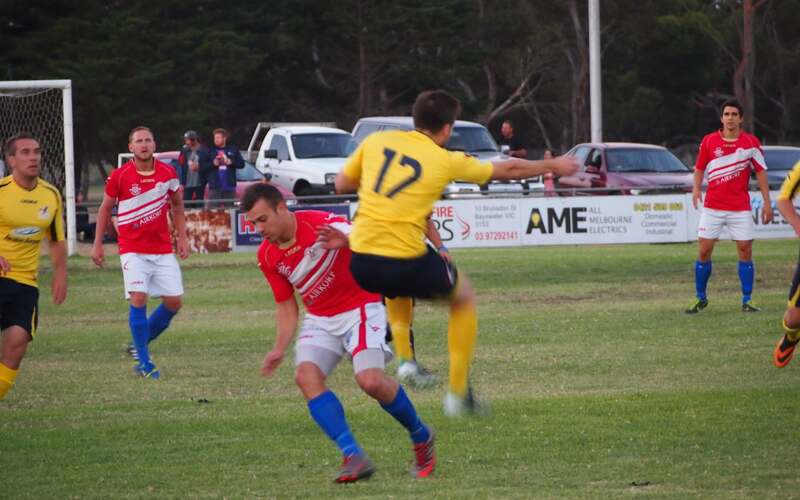 For North, a much tougher challenge awaits in the new Victorian Premier League, while Corio has put together a squad under Robbie Noggler which could give State League Two a real shake this season.